We’ve Resolved to Fight for You. Commit Yourself to Joining the Fight in 2016. 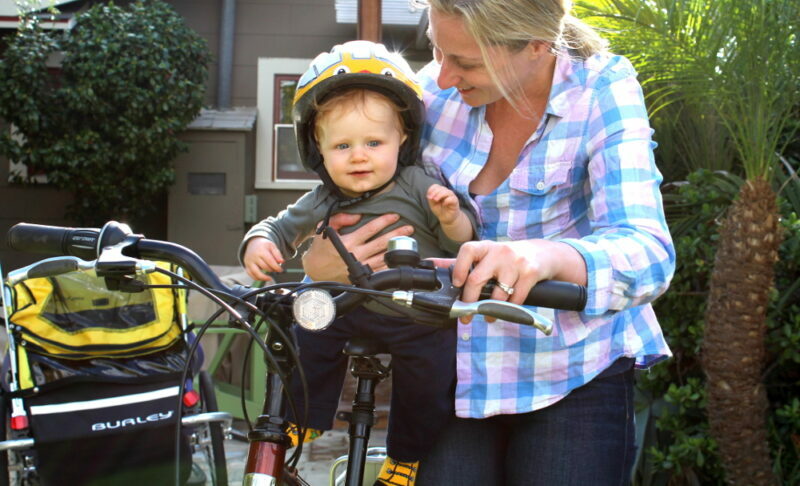 Help Jimmy go on his first bike ride in Pacific Beach! Happy New Year! The first week of 2016 is in the books and we’re already hard at work shaping this year to be a game changer. We want you to be a part of that change. A little over two months ago, the San Diego City Council passed the “Vision Zero” resolution—committing to creating an environment of safe streets designed to eliminate cyclist and pedestrian deaths throughout the city by 2025. It’s ambitious. And it’ll require all hands on deck to make sure the engineering and implementation is done right, and that our local leaders have the proper motivation to fully see it through. The first two tests are immediately upon us with community outreach meetings for the Robinson Avenue and Pershing Drive Bikeways (Thursday, January 14th and Wednesday, January 20th, respectively). With these in mind, BikeSD is helping drive a coalition of advocates toward making the City’s soon-to-standup Vision Zero Task Force an effective body for change—not just window dressing for political mailers. This is just the beginning of our busy year fighting for the kind of streets that BikeSD’s supporters and the broader community deserve. In the coming weeks BikeSD will announce our City of San Diego endorsements for 2016 (including a reassessment of District 1 in light of Joe LaCava’s withdrawal). With City Council races in Districts, 1, 3, 5, 7, and 9, plus the City Attorney and Mayoral races, there’s a lot of ‘politician’s speak’ to wade through—we have our tall boots on. When called upon, we’ll be counting on the thousands of you who’ve joined the cause to flex your personal political muscle to help elect the endorsed candidates. And we’ll expect them to deliver results. It won’t all be politics in 2016, however. We’re going to have a lot of fun, as well. BikeSD has taken charge of the Midnight Madness Fun Bicycle Ride, previously owned by Hostelling International. We’ll be hosting the first ride on Friday, February 26th (with a March 4th backup date in case El Niño doesn’t cooperate), and expect hundreds of cyclists to join in the fun of a safe, late-night ride around town. Additionally, our Bike Culture Rides will be back with the Bike Month Bash at the Lafayette Hotel, the Beachside Bike Ride, and Bike to the Border. We can’t wait to see you all at these events. As you can see, 2016 is going to be a very busy year, indeed. To do it all, we need your help. In the next two weeks, our organization needs to raise $25,000. We need some of you to dig deep and become recurring contributors between $10 and $50 a month. We need some of you to go big, now, and give a one-time contribution of $100-$500. No matter the amount, it’s important that right now, you demonstrate your resolve to making San Diego a world-class city for bicycling by helping grow the capacity of this advocacy organization—one founded and funded by individuals, just like you, committed to common cause—for the safety and respect of all San Diegans, for transportation justice and social equity, and to fight against Climate Change. Together, these streets will become safer. Side by side, our community will grow stronger. Why Does BikeSD Matter to the General Public?